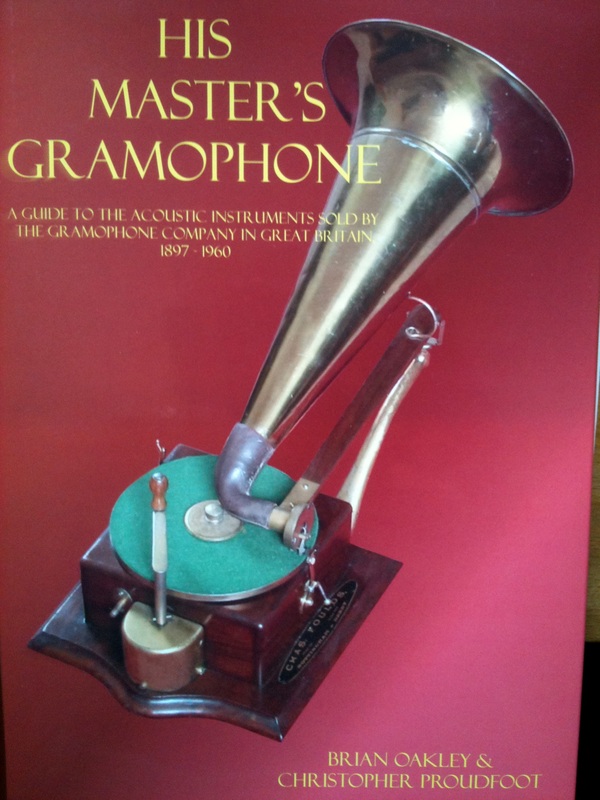 Today we publish the fifth and final in our series of extracts from this fine new book, with kind permission from its creators Christopher Proudfoot and Brian Oakley. 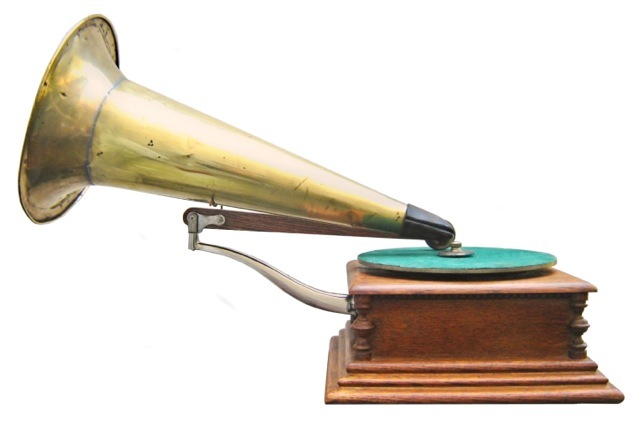 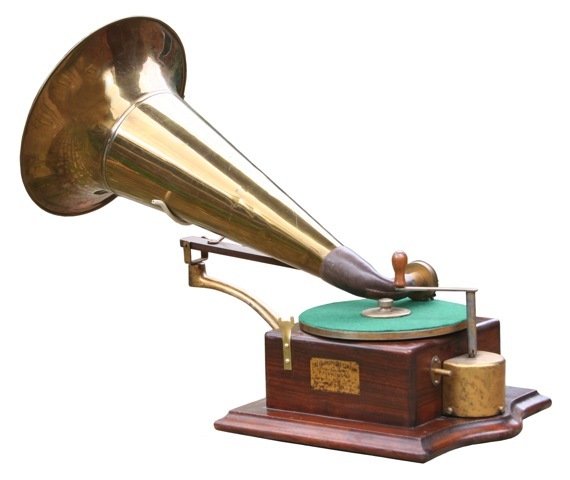 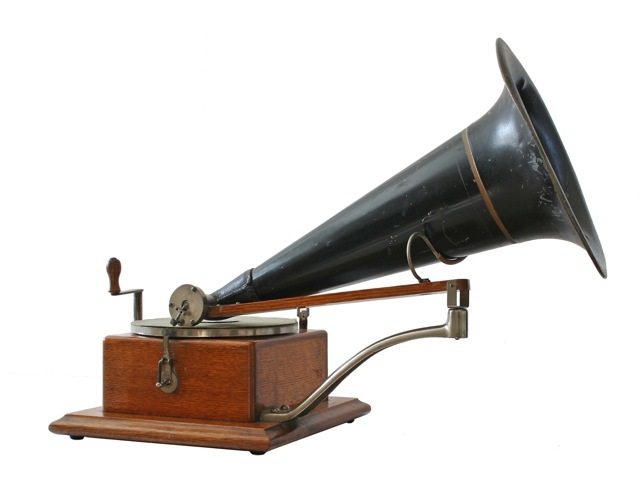 While the gramophone horn was a wonderful piece of design and construction and served its purpose well during the early years, when it came to portability it was pretty cumbersome. 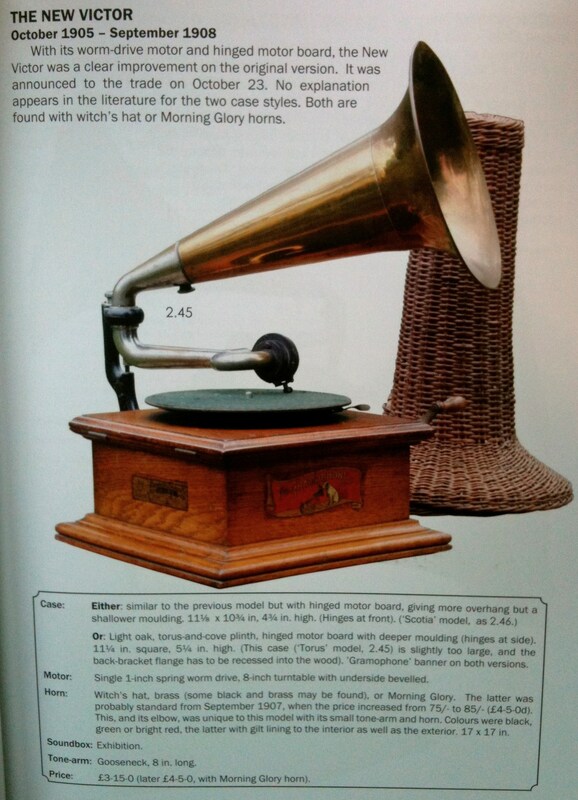 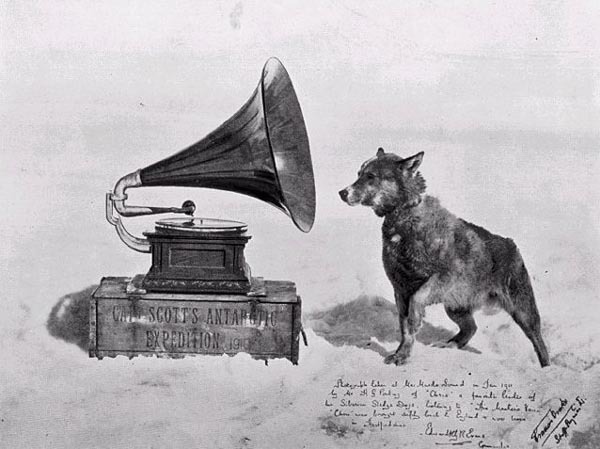 As one of the key marketing points of this invention was the ability to take it on picnics, to parties, and indeed to the First World War trenches, and even to the Antarctic with Captain Scott, sooner or later the Gramophone Company scientists would come up with a hornless model, if you’ll pardon the phrase! 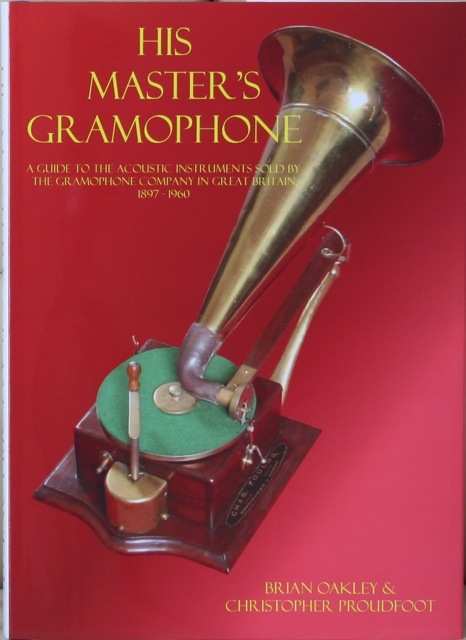 This is the probably politically incorrectly named Pigmy Grand. 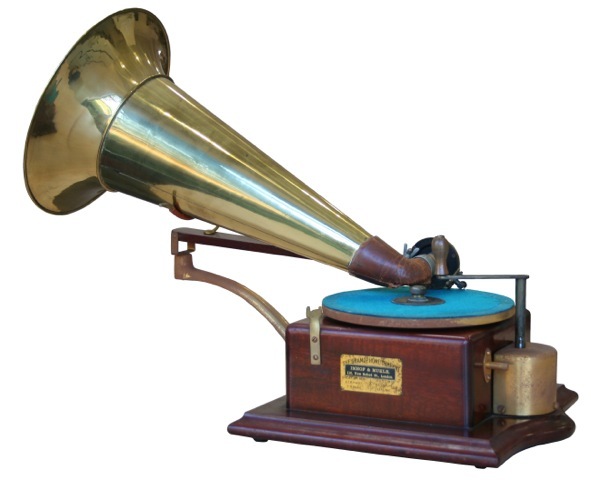 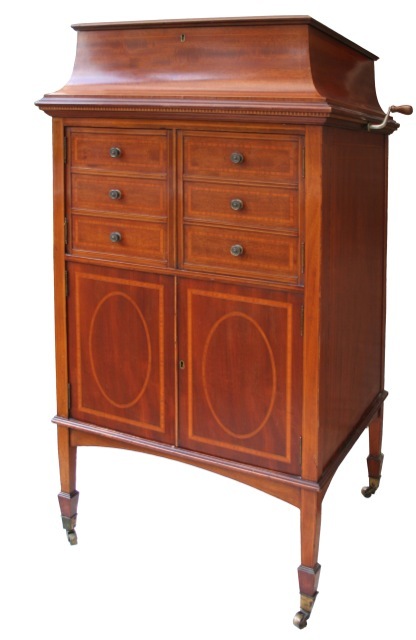 It has to be confessed that this machine was created in April 1909 to compete with portable machines coming into Britain from Europe, and despite the scorn poured on it by Eldridge Johnson, designer of the first gramophones to be brought to England from American by William Barry Owen, who pronounced it ‘a bum outfit’, it ended its life selling nearly 2,500 by September 1911. 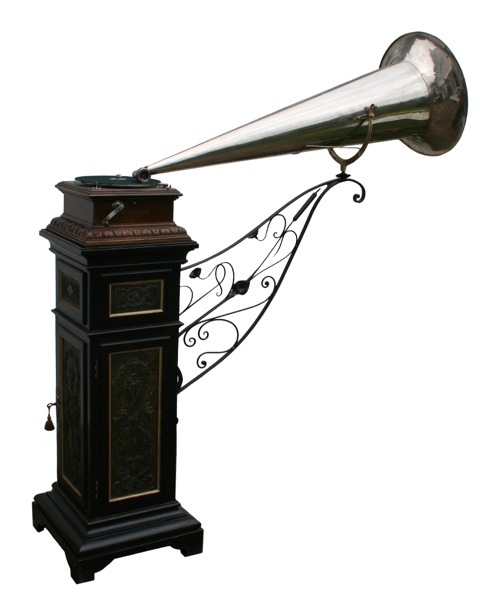 This is the single spring model, made of satinwood with the internal horn behind the trendy treble and bass clef brass grill. 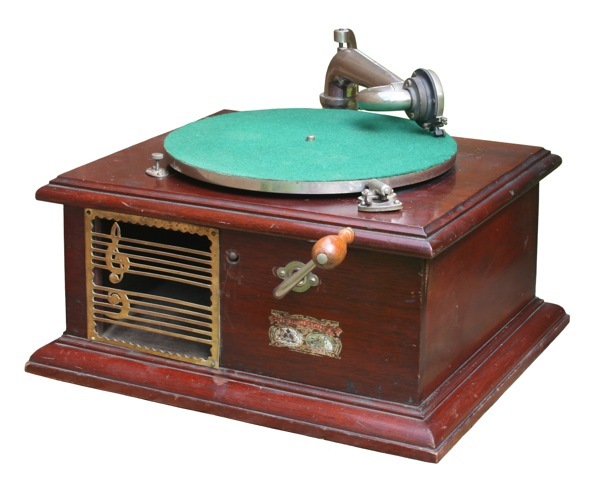 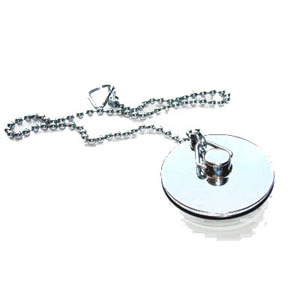 It sold for £5.10s (£5.50) or £7 with carrying case – the first truly portable record player! If your interested in purchasing this fine edition please contact Brian Oakley at brian.e.oakley@btinternet.com The cost of the book is £45.00 plus postage/packing quoted on request once country of destination known.